My name is Mark Kennedy and Sydney is my daughter. Syd is 13 years old and is the 7th person ever diagnosed with her specific chromosomal ablormality (deletion 7q 3.5 --> terminus). Almost since birth she has utilized some assistive equipment in day to day life. 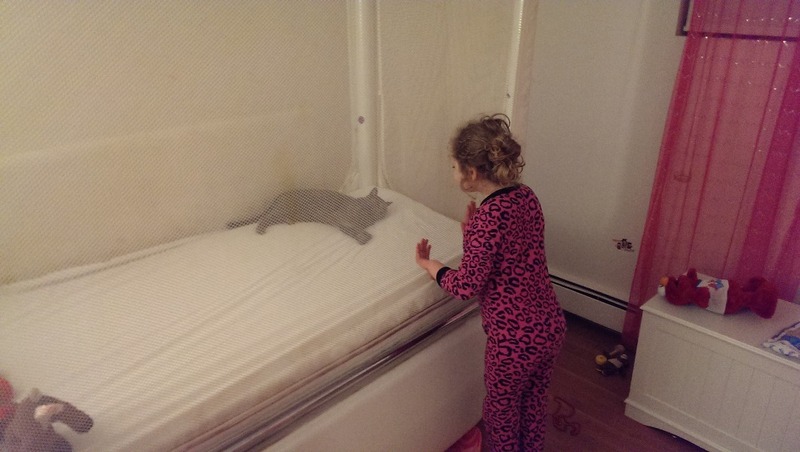 About a decade ago Mass Health provided a Pedicraft Homecare Canopy Bed for her. This bed is at Sydney's mother's place. 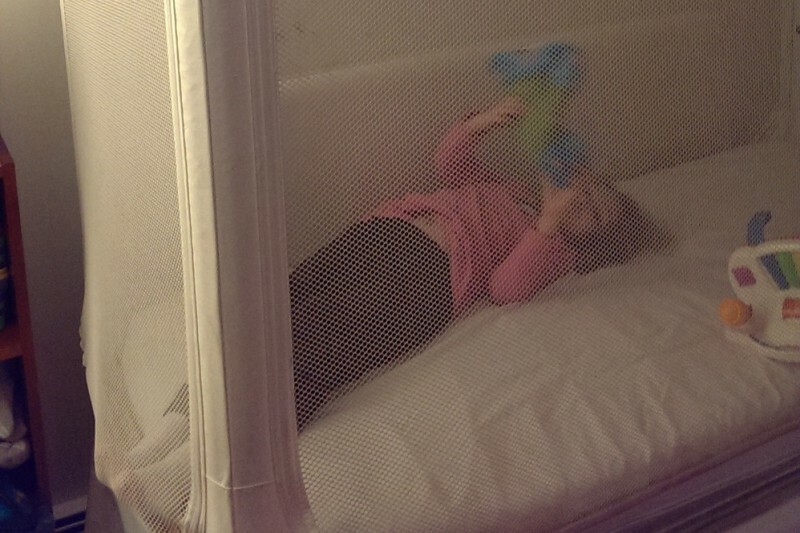 Until lately Syd has been able to use the adjustable crib in her room at my place. Although she is small in stature she is a teenager, is strong, and needs a bed which can withstand her physically and keep her safe. Insurance will not cover a second bed and, after several appeals, I've given up on that route. I've also exhausted other avenues which at first seemed promising but in the end yeilded no results. I am now attempting to raise funds, via GoFundMe, to purchase the bed she needs and have it for her by Summer. This would be a great relief and peace of mind to me knowing that Sydney's needs are being met and that she'd be sleeping in the comfort of the familiar design she's used to at her other home. If we are successful in this campaign I will explain to her how it was acheived and how people's good will and love triumphed over financial dilemma. We'd be grateful for any ammount you may care to contribute! 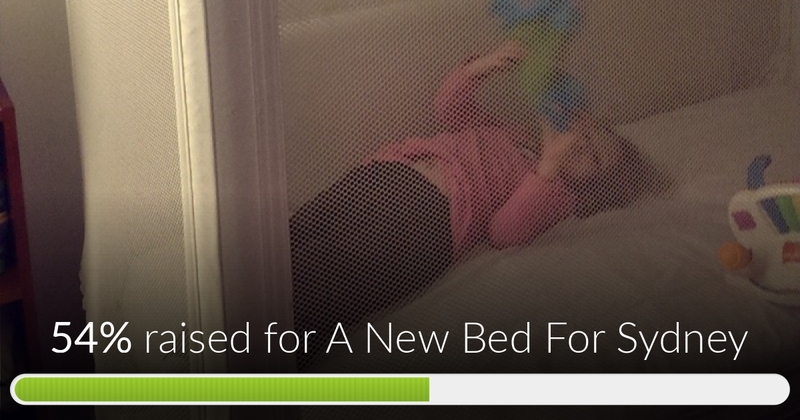 A New Bed For Sydney has reached 54% of its goal! Please help to spread the word that we're still only halfway there and we still need help. We're so grateful to those who've already contributed in the last couple of weeks! I hope we aren't too late to help. If so, maybe some pretty sheets??? Peace to you and your lil darlin !! !